I don't have a recipe for a casserole-I've never made a casserole after having far too many of them growing up but too me a casserole is an odd mixture of things together and that is what I have for today's Weekend Cooking post. Thursday night was my stepdaughter's last night home with us as she wanted to get back to Chicago to see friends. For a special dinner I made Pad Thai. It was the best we've made in awhile so I have that recipe to share. Plus my brother called this morning asking me what to do with the leftover ham bone he had (frozen) from his Christmas dinner. We talked it over and decided making soup would be the best option for him and his 6-year-old son, except he didn't think split pea soup would work. In my Soup, A Way of Life by Barbara Kafka I found a chicken soup recipe that adds ham-which is perfect for my meat-loving brother! Two meats in one soup-Hot Dog! I have that recipe to share right here-Chicken Soup with Chinese Flavors. I can't wait to hear his success story with this recipe. Then my Vegetarian Times magazine arrived last night with a beautiful photo of lasagna on the front cover! I'm a sucker for lasagna recipes so I will be trying this recipe for Kale lasagna this week. I've shared two of my favorite lasagna recipes; Eggplant Lasagna and the newer, Spinach and Feta Lasagna. so if you are looking for something delicious to cook this weekend, any of these lasagna recipes will make you happy! The interesting thing about the Kale recipe is it is made in an 8-inch baking pan so it will be smaller-not as many leftovers, which sometimes can be a good thing but might be just perfect to feed my family with a side salad or some fruit and bread-don't ever forget the bread here. 2. Whisk together soy sauce, peanut butter, lime juice, sugar, and hot sauce. 3. In large wok, sautee tofu, onions and garlic in sesame oil. 4. Add cooked noodles, peanut butter sauce to wok, stir well. 5. Top with sprouts, chopped peanuts and scallions. Serve hot. 6. I added fresh chopped basil at the table. It was delicious and we had enough for lunch leftovers the next day. Served with fresh bread and a spinach salad. 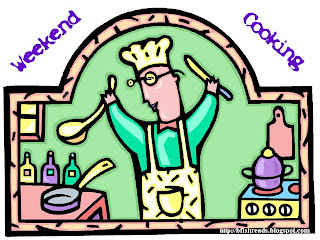 What's in your "casserole" for the weekend?? 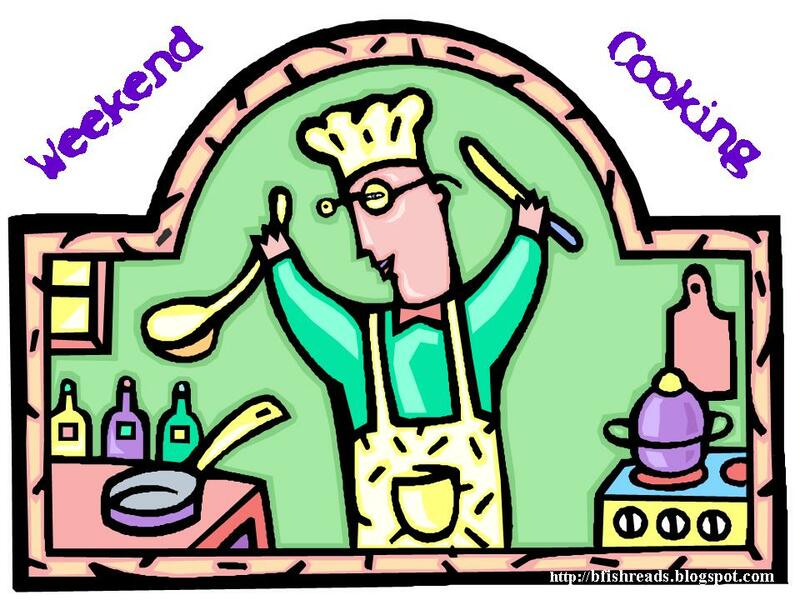 Check out other Weekend Cooking posts at Beth Fish Reads.